First, think about how much you can afford bearing in mind one of costs such as your deposit, stamp duty and conveyancing fees. Then, decide what type and style of property you’d prefer, how many bedrooms you need, and how much space you want. Next, consider where you’d like to live and then see what property prices are like there in these areas. Before you begin your property search, it is advisable to arrange your finances and, if required, have a mortgage agreed in principle. Our Mortgage Advisors have access to the latest deals from a wide range of mortgage lenders to help find the package that best suits your needs. Once you see a property that you like the look of, you can arrange a viewing. We’re open 6 days a week and can do viewings after work to suit you. We will accompany you throughout so that we are on hand to answer any questions immediately and advise where necessary. When you’ve found a property that you like, you can make an offer. We will put your offer – including any conditions you may have – to the seller, both verbally and in writing. We will negotiate this offer on your behalf. You may be asked to provide evidence that you have the required financing. There is no binding agreement at this stage. Once you’ve had an offer accepted on a property you should appoint a solicitor. We have several we can recommend. They are responsible for carrying out the legal work involved in buying a property. It’s a good idea to use a solicitor who knows the area that you’re moving to. Your mortgage lender will require a mortgage valuation to be carried out, and it is advisable to get a survey done as well. These reports are designed to advise the mortgage lender on the property’s value and to identify any structural or other problems. After the mortgage valuation report is received, a formal mortgage offer will be sent to you and your solicitor which you will need to sign. 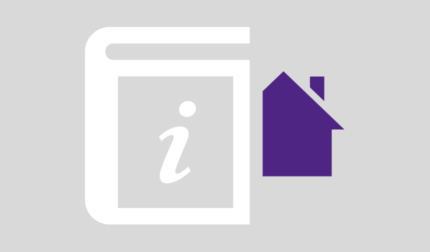 Once your mortgage offer is out, your solicitor has received answers to any queries s/he has raised, the local searches are back, and evidence of title has been obtained, you and the seller will be ready to sign contracts. You will usually be required to pay a deposit of 10% of the property price at this stage. After the legal work is complete your solicitor will arrange for your mortgage company to transfer the rest of the money to the seller’s solicitor. When this is done, the property belongs to you. We will then release the keys to you.